Maun Lodge, just 4 kilometres from the airport, is used as a stopover hotel before or after an Okavango Delta safari. It’s a fairly standard type of hotel with little in the way of character, but clean and comfy enough. There are several types of room to suit a range of budgets. In the main hotel twin, double and family rooms provide comfort and convenience, with air-conditioning, private bathrooms with full running water, satellite TV and tea and coffee makers. Deluxe river view rooms and the two presidential suites are larger and have private terraces. All rooms benefit from room and laundry services. Those on a more restricted budget can opt for the thatched chalets, which offer simpler accommodation but are en-suite and air-conditioned. Some of the chalets are larger and have sofa beds which can be useful for parents travelling with young children. The restaurant offers a choice of local and international meals. Light snacks are served in the open air boma, where a fire is lit after dark. The lodge arranges occasional evening displays of traditional singing and dancing here. The Pygmy Goose Bar in the main hotel building is a popular spot, full of lively conversation where you can enjoy a drink of your choice. There are no activities specifically included by the lodge but you could visit Okavango Ceramics or a local crocodile farm. Children of all ages are welcome. There are 4 family rooms and 8 family chalets. All rooms provide comfortable, air-conditioned accommodation with private bathrooms. They range from the suites to the simple thatched chalets. 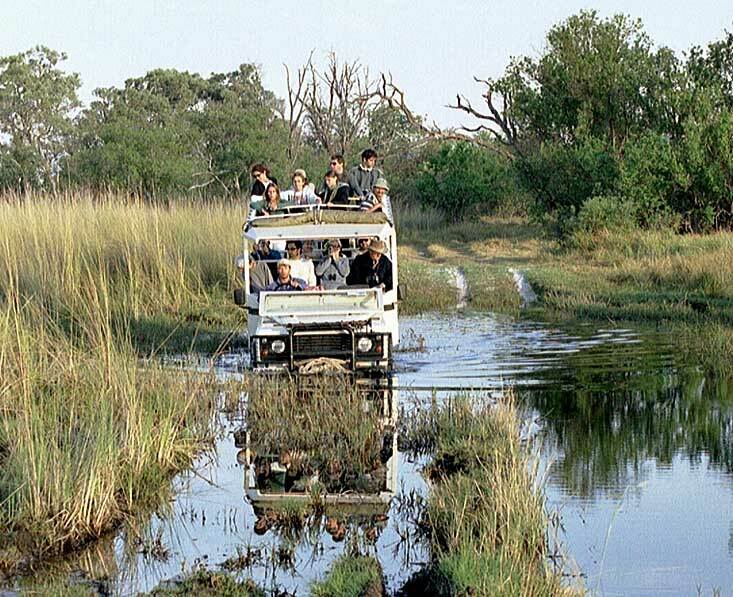 This adventure safari includes Moremi Game Reserve, Chobe National Park and the magnificent Victoria Falls.